Complex Says: How about some Jordans that MJ never wore himself in a Bulls uniform? The IXs dropped after Mike’s decision to retire from basketball one day before training camp and take a shot at baseball, signing with the Birmingham Barons the following season. 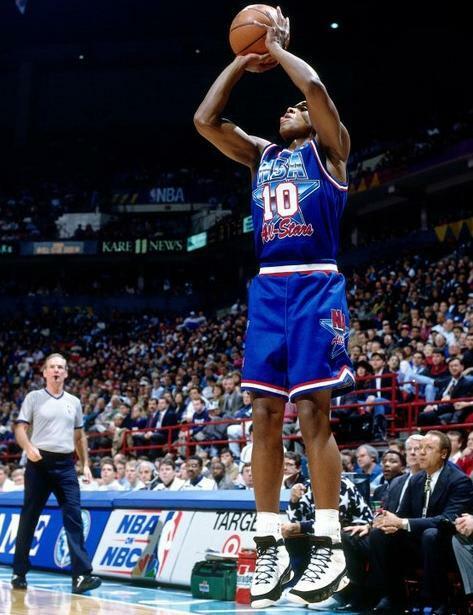 A teammate during the Bulls three-peat, BJ Armstrong rocked them in the 1994 All-Star Game in honor of His Airness.